NEW YORK, Jan. 18, 2016 /PRNewswire/ -- Virtuoso®, the global network of luxury travel agencies, is demonstrating that it has its finger on the pulse of what upscale travelers desire with the recent expansion of its Hotels & Resorts program. In the last year, Virtuoso added 95 new properties, bringing the total portfolio to more than 1,100 hotels in 100 countries. Of this total, 468, or 43 percent, have chosen to partner exclusively with the network, affirming the network's leadership position in the industry. The network has grown strategically to position itself at the forefront of luxury hospitality trends. At 24 years, Virtuoso Hotels & Resorts is the longest running and most prestigious program available to consumers. Designed to benefit leisure travelers, the program offers benefits worth up to $450 per stay that are only available through a Virtuoso travel advisor. Standards such as breakfast, room upgrades and early check-in/late check-out are matched with value-added extras that enhance the overall experience like spa treatments, dinners, airport transfers or rounds of golf. Always ahead of the curve, Virtuoso Hotels & Resorts has expanded purposefully to provide travelers with hotel options thataccommodate their ever-changing needs. Here are five trends shaping the growth of the esteemed portfolio of hotels, resorts, spas, lodges, camps, villas and even private islands. Larger Suites and Villas: Multigenerational travel is the hottest trend of 2016, according to the Virtuoso Luxe Report. Hotels are responding to the demand for group lodging by offering extremely large suites and villas. In Virtuoso's portfolio: an 11-bedroom suite opening this year at The Ritz-Carlton Grand Cayman that will be the biggest in the Caribbean, the largest penthouse suite in the U.S. at New York City's The Mark at 12,000 square feet, and Four Seasons Nevis offering guests 40 villas. Experiences that Create a Sense of Place: Voyagers today place great value on experiences that will create memories to last a lifetime. Virtuoso's collection of hotels and resorts offer an array of authentic experiences that are distinctive to their destinations. As a result, Virtuoso clients can enjoy everything from world-class concerts at Schloss Elmau, a historic Bavarian castle; to a Western cattle drive at The Lodge & Spa at Brush Creek Ranch in Wyoming; to a private coffee-tasting experience at El Silencio Lodge & Spa in Costa Rica. Lifestyle Hotels: As Millennials blaze a new trail in the luxury travel world, Virtuoso has grown by selecting properties appealing to that demographic. Exciting brands such as Andaz and W Hotels are represented in the portfolio, which has also recently welcomed its first Conrad hotel (in the Algarve in Portugal) and first Edition hotel (in New York City). Virtuoso Preview: Luxury travelers want to be the first to discover the globe's hottest new properties and if they can get exclusive access and perks, even better. Virtuoso offers just that through its pioneering Preview program, which introduces emerging or reemerging hotels and resorts to the clientele of its elite travel advisors. Six years after its birth, Preview continues to support properties from world-class luxury brands during their pre-opening phase and debut. Current participants include the Ritz Paris and Faena Hotel Miami Beach. Broadening Global Appeal: In the past year, Virtuoso has expanded its network of worldwide members, adding its initial travel agencies in Asia, Africa and the Middle East, as well as growing its presence in Europe. To get ahead of the demand for destinations that appeal to those markets, the Hotels & Resorts program has invited properties in strategic locations to join the network. New hotels in Cyprus (popular with Europeans) and Paraty, Brazil (a favorite of South Americans) are just two examples of how Virtuoso is catering to this diversity. Luxury travelers can acquaint themselves with all the Virtuoso Hotels & Resorts offerings in the hot-off-the-presses 2016 Virtuoso Best of the Best directory. At a record-setting 632 pages, the new Best of the Best features every hotel in the portfolio, offering insider tips on how to enjoy each to its fullest. A new feature this year highlights another key travel trend: the changing way travelers are shopping for lodging. Virtuoso created Curated Experiences to give travelers at-a-glance information about a property's room style, experiences and atmosphere. If they're looking for a contemporary resort that's close to the beach, offers a wellness program and has a casual vibe, now they can easily find it. 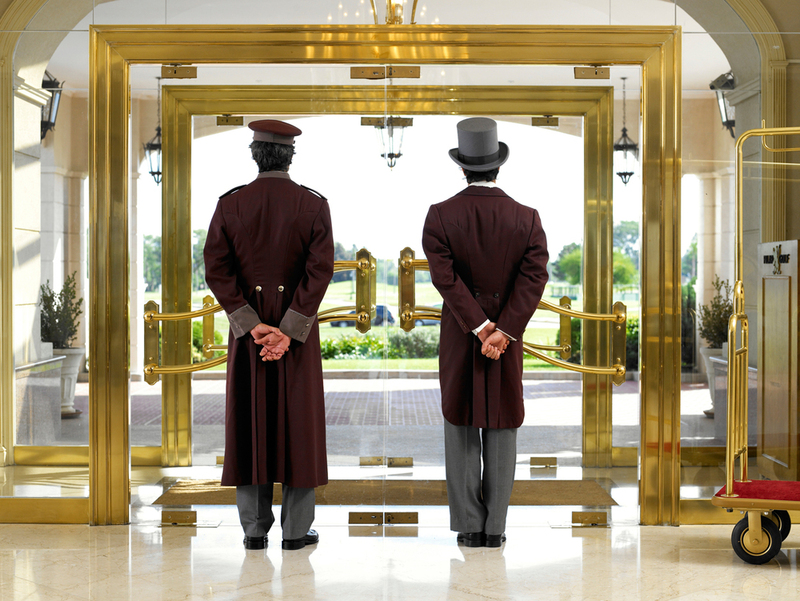 Curated Experiences is another first-to-market advantage for the Hotels & Resorts program. Best of the Best also showcases unique experiences in each region, giving readers 60 pages of creative ideas. Those include a private after-hours tour of the Vatican City Museum, dining with a member of Bhutan's parliament, and blending your own wine in Chile. Best of the Best is currently being distributed to the homes of 150,000 of Virtuoso's best clients, as selected by their advisor. To view the directory online, click here. For more information on Virtuoso or to find a Virtuoso travel advisor, visit virtuoso.com. About Virtuoso Virtuoso® is the leading international travel agency network specializing in luxury and experiential travel. This by-invitation-only organization comprises over 380 agency members with more than 11,400 elite travel advisors in over 30 countries throughout North America, Latin America, the Caribbean, Europe, Asia-Pacific, Africa and the Middle East. Drawing upon its preferred relationships with 1,700 of the world's best hotels and resorts, cruise lines, airlines, tour companies and premier destinations, the network provides its upscale clientele with exclusive amenities, rare experiences and privileged access. More than (U.S.) $15.5 billion in annual travel sales makes Virtuoso a powerhouse in the luxury travel industry. For more information, visit virtuoso.com.